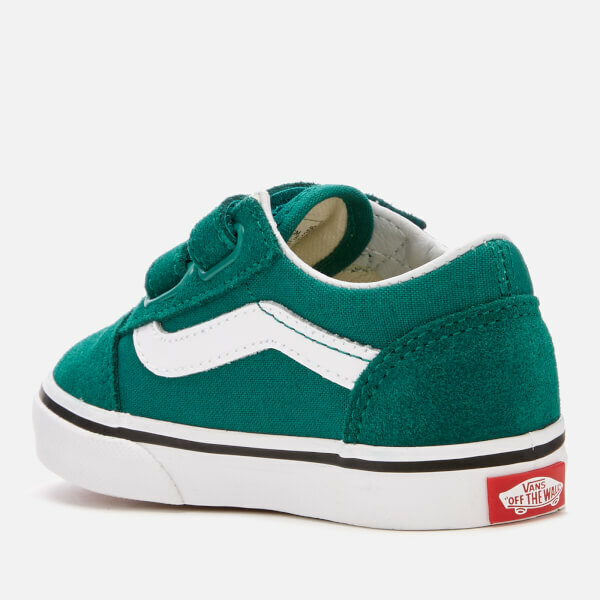 Pine-green ‘Old Skool’ low-top trainers for toddlers by Vans. Inspired by the classic Vans skate shoe, the sneakers feature a low profile silhouette with suede and tonal canvas uppers. 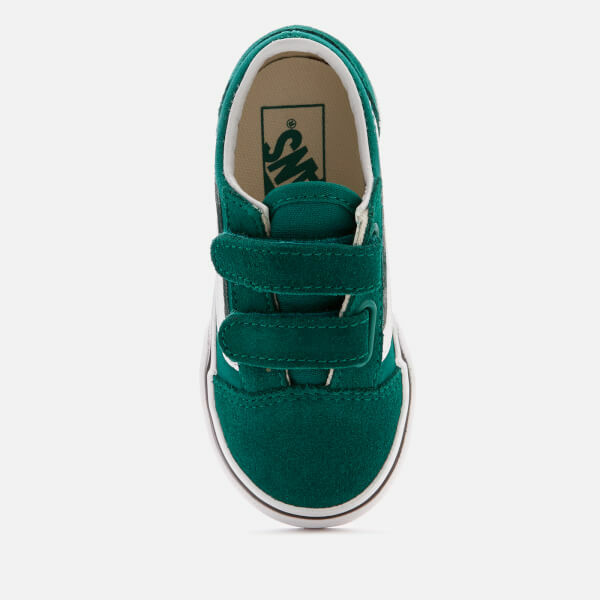 The round toe trainers are fastened with two Velcro straps over the tongue. 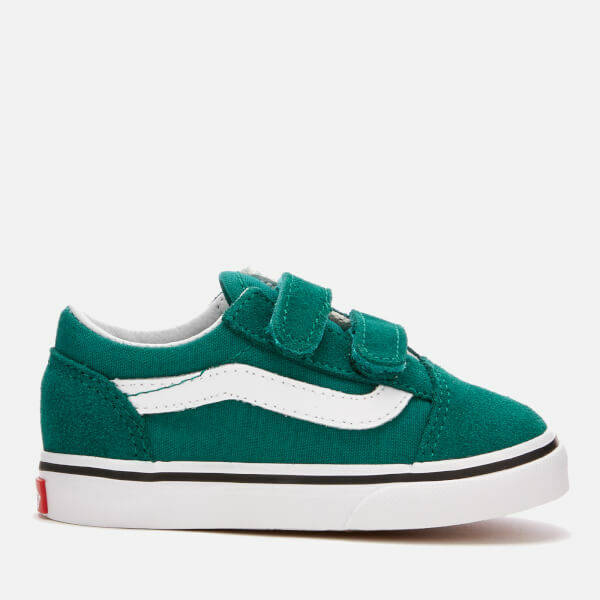 Set upon signature vulcanised rubber waffle-tread sole and complete with black stripes along the midsole and a red ‘Off the Wall’ licence plate on the heel. White leather overlays on the quarter add the finishing touches.